The construction of the new school buildings will start in late spring 2019. The present value of the life cycle projects of the new Taanila comprehensive school and Jokiranta school is EUR 45 million in total. It is the largest investment in the history of the entire city. The new middle school to be built in Jokiranta will replace the old school building, while Taanila will be an entirely new school. 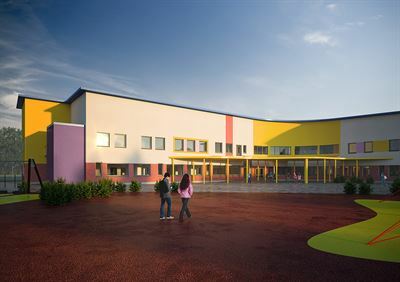 The schools will be completed and ready to welcome pupils for autumn semester 2021. “Healthy and safe schools boost our vitality. We are glad to have obtained experienced and reliable providers, Skanska and Caverion, to implement our new schools,” says Kari Kentala, Technical Director, the city of Ylivieska. The new comprehensive school to be built in the Taanila district on Ouluntie road will have premises for about 400 pupils and indoor and outdoor sports facilities for all citizens of the municipality. Located in the Niemenranta district on the crossroad of Mäntytie and Visalantie, the Jokiranta school afflicted by indoor air problems will be mainly replaced with a new building, which will have capacity for 500 pupils. 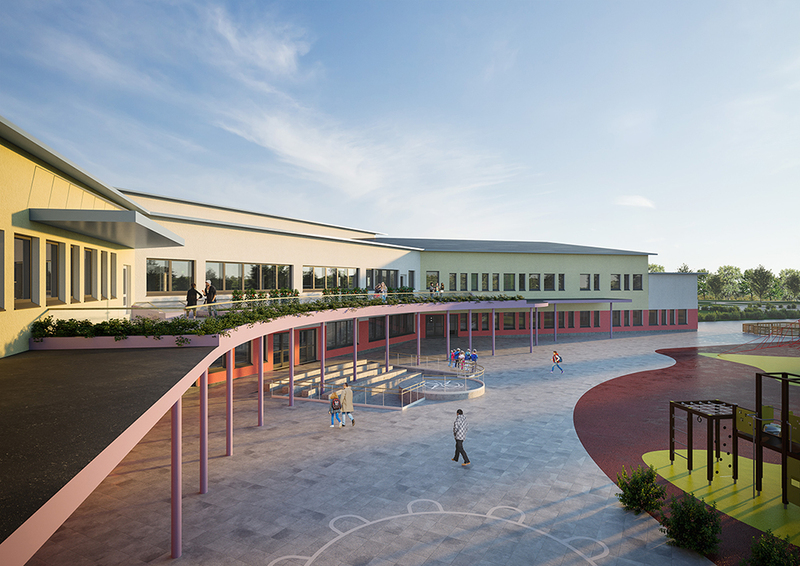 The size of the Taanila comprehensive school will be over 7,000 m2 and the Jokiranta middle school over 6,000 m2. Both schools will have catering kitchens, which means that the food will be prepared elsewhere and transported to the schools. Caverion will be responsible for the total delivery of building systems, including design in the construction phase. During the 20-year maintenance period, Caverion will be responsible for the maintenance and care of the buildings as well as managed services. The service includes 24/7 HelpDesk and customer portal for monitoring key indicators of the buildings and ordering services. Skanska is responsible for the construction work and planning, and works as general contractor for the project. “The life cycle model is particularly suitable for implementing projects with a high level of responsibility, like school buildings. The cooperation is focused on finding the best solutions to ensure healthy and safe conditions and environment for children, staff members and all building users,” says Ville Tamminen, Executive Vice President, Caverion Finland. “Energy efficiency is in the spotlight in both projects. The goal is to qualify for energy efficiency class A and four stars in the Finnish RTS Environmental Classification,” says Markus Pöllä, Project Development Manager at Skanska Talonrakennus, Northern regional unit. 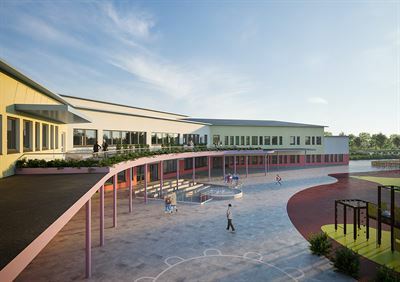 The design solutions of the schools follow the new pedagogical practices of the national curriculum and take into account the special needs of education at Ylivieska. Learning environments are transformable and pedagogically flexible and can also be transformed according to future educational needs. All spaces have been designed to be multi-functional and can easily be transformed for different needs, taking into account for example the versatile use of spaces in evening time. Read more about our services to public sector.